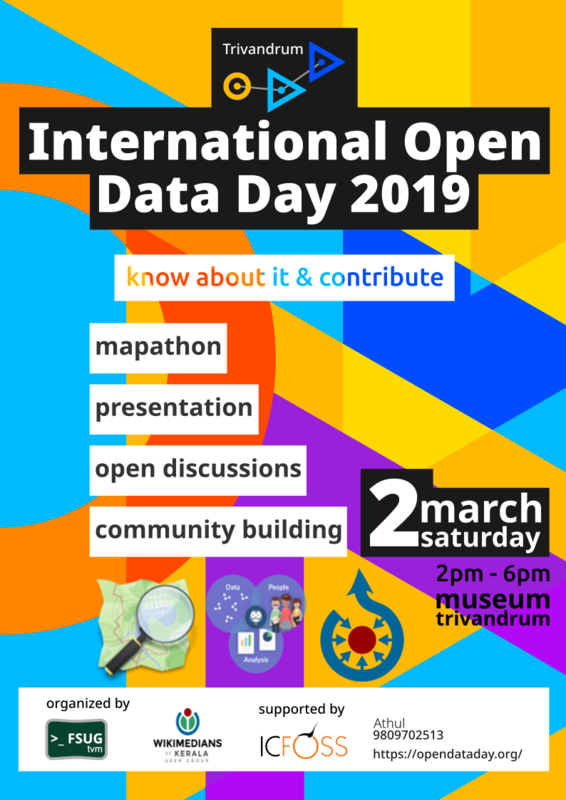 In accordance with Open Data Day, FSUG TVM, along with Wikimedians Kerala Group and support from ICFOSS is arranging Awareness on Open Data, Introduction to Wikimedia Commons and OpenStreetMap Mapathon on 2nd March, 2019, from 2:00 PM to 6:00 PM at Museum Lawn, Palayam, Thiruvananthapuram. 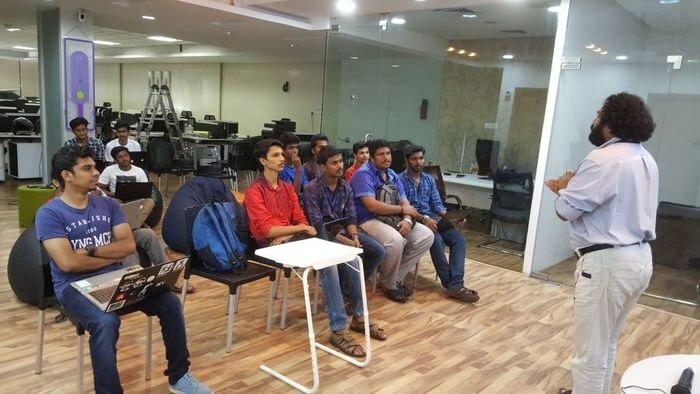 We welcome everyone to attend the programme and the Mapathon. Head over to our Telegram or [m]atrix channels if you need anything. 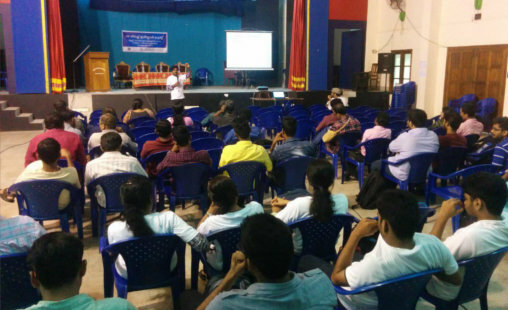 On the occasion of Software Freedom Day, a demo of various Free & Open Source Software and GNU/Linux distros will be held at Manaveeyam Veedhi, Trivandrum on 16th September, 2017, from 3:00 PM to 8:00 PM by FSUG-TVM in association with ICFOSS and SPACE Kerala. Everyone is welcome to our little tent (literally) of freedom, so that you can finally make your computer truly free. 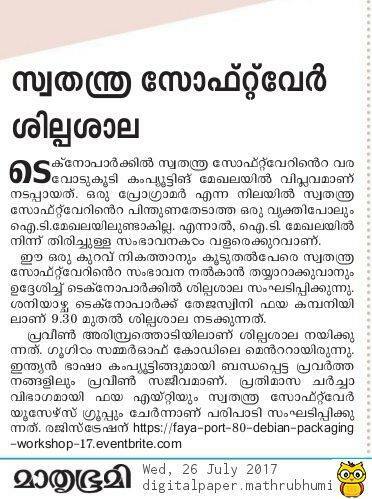 A Debian packaging workshop, led by Praveen Arimbrathodiyil was conducted on 29th July, 2017 at Faya, Technopark, Trivandrum. 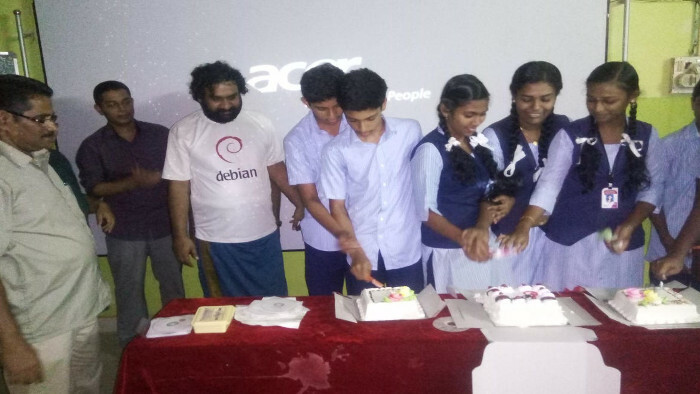 Debian 9.0 Stretch's release party and install fest was conducted on 30th June, 2017 at Government H.S, Anchal West, Kollam.